We offer cat grooming for all breeds, our services include; a brush out, de-matting, a full lion’s cuts. nail trimming and spot clipping/shaving. Our cat grooming is performed by our veterinary technicians. There is always a veterinarian present. 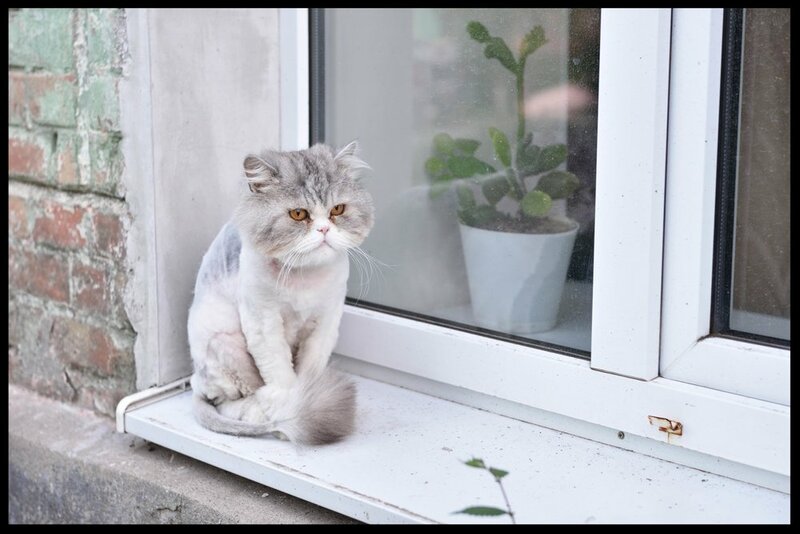 At the Downtown Toronto Cat Clinic our staff is specifically trained to do the classic "Lion’s Cut " which is shaving the body and belly and shaving the tail, leaving a traditional "tuff" at the end and leaving the neck ruff according to the owners preference or condition of the cat. We always prioritize the safety and stress level of your cat so we give them a mild sedation. Dr. Bonder will assess the health condition of your cat and their hair coat to determine the best and stress - free grooming plan. Cats have very flexible and thin skin and can be easily cut when using clippers so they need to stay still to prevent that from happening. We do not recommend to bath your cat as this is very stressful for them. Most cats are excellent groomers and can bath themselves. We offer a brush out and conditioner application on the hair coat, hind end clean up (for those long hair cats) and nail trims.